Mobile LiDAR has become an effective solution for rapid data collection in recent years. 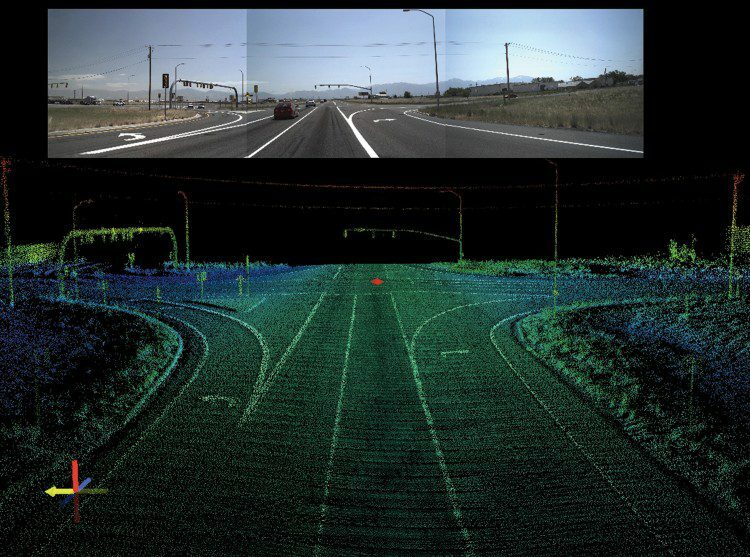 For example, using mobile LiDAR imaging, the Utah Department of Transportation recently undertook a groundbreaking inventory of numerous roadway assets. Laser scanning is helping many state agencies comply with a new federal law requiring them to digitally map the U.S. National Highway System under the Moving Ahead for Progress in the 21st Century Act. Airborne light detection and ranging (LiDAR) technology is gaining popularity for a wide range of mapping applications. Similarly, mobile LiDAR is becoming a boon for transportation agencies looking to increase safety and efficiency. By Keith Williams, Michael J. Olsen, Gene V. Roe and Craig Glennie. Williams is an engineer with UNAVCO (www.unavco.org), Boulder, Colo.; Olsen is an assistant professor at the School of Civil and Construction Engineering, Oregon State University (www.oregonstate.edu), Corvallis, Ore.; Roe is founder of MPN Components, Hampton, N.H.; and Glennie is an assistant professor with the Department of Civil & Environmental Engineering, University of Houston (www.uh.edu), Houston. Recent advances in light detection and ranging (LiDAR) technology allow scientists and mapping professionals to examine natural and built environments with greater precision and flexibility than ever before. But increased visibility, accuracy, and resolution often require a ground-based laser scanning solution, particularly in transportation applications. 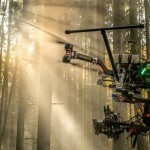 Mobile LiDAR has become an effective solution for rapid data collection in recent years given advances in scanning speed and accuracy, Global Positioning System technology (GPS), and positioning hardware such as global navigation satellite system (GNSS) receivers and inertial measurement units (IMUs). Prior to LIDAR-based mobile mapping, early mapping systems used a nearly identical platform setup but relied on photogrammetric methods. The first mobile LiDAR system, constructed in 2003, was initially a helicopter-based LIDAR system that had been removed and mounted sideways onto a vehicle. The system was used to survey Highway 1 in Afghanistan, which was potentially hostile for helicopter-based scanning. This initial system had many downfalls—primarily the limited field of view that accompanies airborne systems. However, the system proved successful and demonstrated the potential value of mobile LiDAR technology. Today, as detailed in the guide on page ? ?, there are several mobile LiDAR systems available through commercial vendors. Such systems provide a dense geospatial dataset as a 3D virtual world that can be explored from a variety of viewpoints across a transportation agency. With proper practices, the dataset can serve as a 3D model to link a variety of other data, including traffic and crash data. Mobile Platform. A mobile platform connects all data collection hardware into a single system. The platform is usually rigid and precisely calibrated to maintain the positional differences between the GPS, IMU, scanner(s) and imaging equipment. As shown in the figure on page ? ?, the platform also provides a way to connect to the vehicle used in the data collection process. Positioning Hardware. Positioning hardware varies significantly from system to system. However, most systems incorporate at least one GPS/GNSS receiver and an IMU. The GPS/IMU systems work together to continually report the best possible position. In times of poor satellite coverage, the IMU manages the bulk of the positioning workload. However, when satellite coverage is ideal, the IMU’s positional information is then updated from the GPS. In addition to augmenting the GPS in periods of poor satellite coverage, the IMU must continually fill gaps between subsequent GPS observations. Typical GPS receivers report positioning information at the rate of 1–10 Hz (i.e., one to 10 measurements per second). However, even in a single second, a vehicle will experience substantial movement, particularly when traveling at high speeds. The IMU records positional information at a much higher rate, typically around 100–2,000 Hz, or 100–2,000 times per second. GPS/IMU data quality is typically the primary factor in gaining the best accuracy for a LIDAR point cloud. More complex mobile LiDAR systems will use multiple GPS receivers, an IMU and a distance measurement indicator (DMI) for improved positioning. The DMI, a precise odometer, reports the distance traveled to improve GPS/IMU processing. Aside from georeferencing the data, most processing tasks are similar among airborne and mobile LiDAR systems. 3D Laser Scanner. Many different types of 3D laser scanners are well suited for a mobile platform. Such scanners are set to operate in a line scan (or planar) mode, where the scan head stays fixed and only internal mirror movement takes place. To minimize the number of passes necessary to fully capture data, most platforms use more than one scanner with view orientations at different angles. The scanner also records an intensity value, which is a measure of return signal strength and can be helpful to distinguish objects of varying reflectivity. Photographic/Video Recording. Photographic and video recording provides greater detail than the laser scanner alone. The primary reason for this equipment is to color individual scan points in the point cloud to the representative real-world color. This is done by mapping red, green and blue (RGB) values to the georeferenced point location. 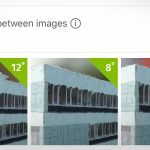 This point coloring can make a highly dense point cloud appear as if it were a photograph. Also, a visual record provided by this equipment can help users determine abnormalities in the scan data. If needed, the imagery can be used as a video log without the scan data. Computer and Data Storage. Advancements in computer processing speed and data storage capabilities have lowered the cost and increased the efficiencies of working with LIDAR data. Mobile systems need to be able to process and store large quantities of data from many sources, and all photographic and video data must be integrated with a common, precise time stamp. Although some processing capabilities are available in the mobile system itself, much of the processing is still completed in the office. Managing the process of acquiring data via a mobile LiDAR system survey requires extensive knowledge and experience. Aside from georeferencing the data, most processing tasks are similar among airborne and mobile LiDAR systems. Georeferencing. A prime interest in software processing is to register, or combine, many independent 3D point clouds into a single dataset referenced in a single coordinate system with minimized error. Point cloud data must undergo several software processing procedures to accurately position the point cloud in the selected coordinate system. 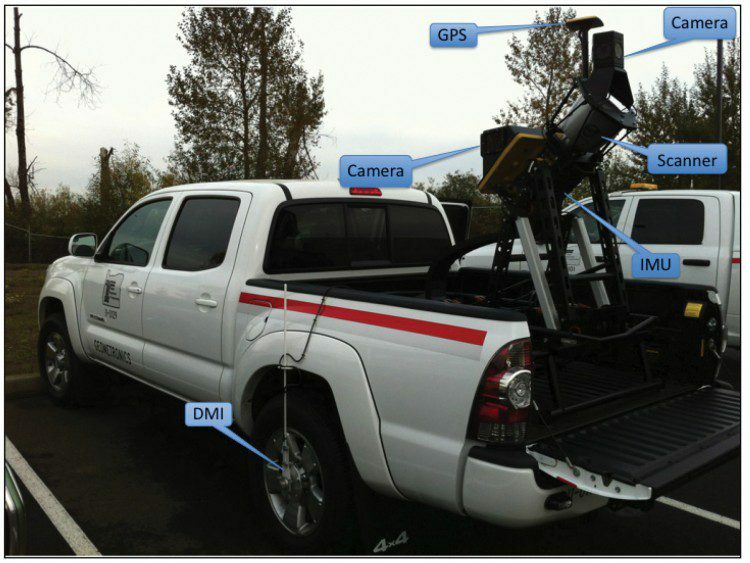 A mobile LiDAR system’s components simultaneously collect and store data (e.g., the GPS stores location, the scanner collects point locations relative to its origin, the IMU provides location corrections, and the color information is collected by photographic or video methods). The data must be precisely time-stamped for integration. Real-time kinematic GPS or post-processed kinematic GPS are the primary methods used to georeference the mobile LiDAR system’s data; however, other methods can be used such as target alignment, high-resolution terrestrial laser scanning (TLS) data or ground control points surveyed through traditional methods. Often, alignment to high-resolution TLS data and/or ground control points is used as a post-processing validation step to measure how accurately the mobile LiDAR system has performed. In areas where a GPS/IMU system doesn’t collect accurate georeferencing data, a mobile LiDAR system’s point cloud may be adjusted to ground control through a least-squares adjustment. Adjustments (geometric corrections) are often implemented between passes to correct for biases. Data processing can also introduce additional errors into a point cloud, but generally it will bring a point cloud into a much higher level of accuracy than the originally captured point cloud, depending on the applied processing procedures. Mapping Color Information. 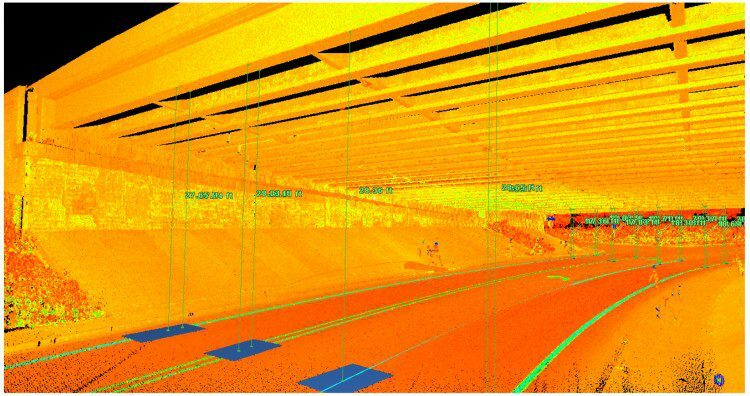 As a LiDAR scanner collects data, a precisely calibrated image recording system can collect color information to map to each individual point in the point cloud. This color information is stored as a numerical value (e.g., 0–255) in the RGB spectrum. This color mapping is typically tagged to the individual points in a point cloud so that a location given as X, Y and Z and intensity values are amended to include RGB values (i.e., X, Y, Z, R, G, B, I). Filtering Points. Following registration, point cloud data typically are filtered to eliminate unwanted features, including artificial low points; objects passing in the scanner view; unwanted vegetation; or, more generally, anything that isn’t needed by the end user. Filtering is also commonly done to reduce the deliverable point cloud’s file size, as the full dataset can require intense computational power and data storage. A common filtering technique includes first, intermediate and last returns. Generating Models from the Point Cloud. Mathematical computations aren’t easily performed on point cloud data. Typically, point clouds are modeled using triangulation or gridding techniques for bare earth models or by applying least-square fitting of geometric primitive shapes (e.g., planes, squares, rectangles, cylinders or spheres) to the structures found in the point cloud. Typically, modeling of features in a point cloud incorporates an automated or semi-automated segmentation algorithm, which can predict points that can be modeled to a real-world object. Then various calculations and analyses can be applied to the models to permit complex calculations such as volume change. It’s critical for users to understand when to and when not to use mobile LIDAR. All data should be organized into one project where it can be processed and archived. The data should be viewable on different scales, such as micro-scale point clouds and a full project area (e.g., as a rasterized dataset). The software should allow for geometric correction of the various sensors via a strip adjustment. The data should be able to be exported in many different formats, including standardized formats, such as ASCII, LAS and E57, to be compatible with other software. Many of the commercial software options available can perform most of these four tasks. The final decision on what program(s) to use is largely personal preference, and most manufacturers will have a trial period when the software can be tested prior to purchasing. Common deliverables following laser scan projects include point clouds, computer-aided design (CAD) models and digital terrain models (DTMs). The options, advantages and disadvantages of each deliverable type can be confusing for someone without substantial laser scanning experience. Guidelines for accuracy reporting have been developed by the American Society for Photogrammetry and Remote Sensing for airborne LiDAR, and many commonalities can be associated to mobile LiDAR systems. Providing adequate metadata on employed processing and filtering methods can be a challenge. Additionally, because the technology and hardware evolve rapidly, it’s difficult for software development to keep pace. In conventional surveying, a point is tagged with a code for later identification during acquisition. In mobile scanning, however, the collected points no longer are individually tagged with specific reference information; additional reference information must be added to individual points through semi-automatic or manual methods. Mobile LiDAR systems offer many benefits to transportation agencies. Besides being safer than traditional survey techniques and static TLS, mobile LiDAR systems offer cost savings compared with other methods. 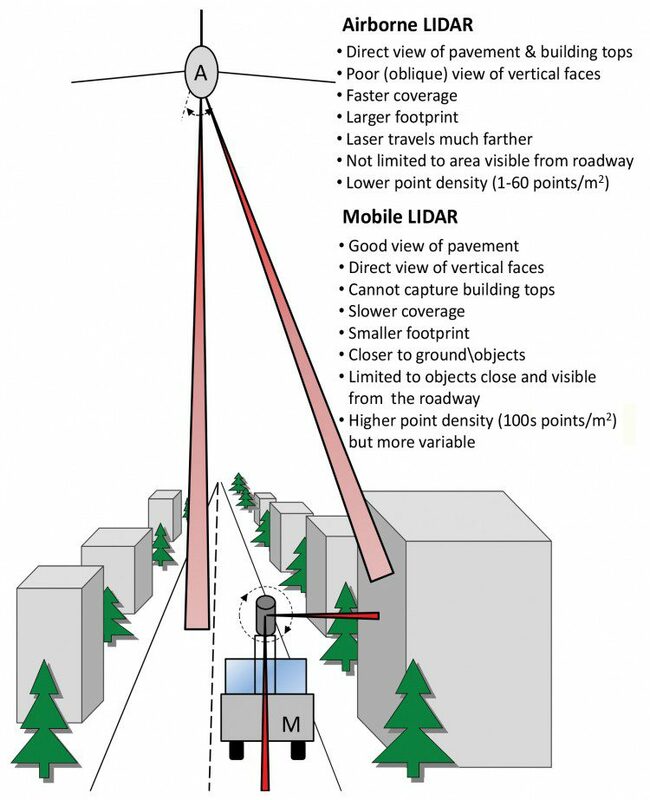 Key differences between mobile and airborne LiDAR systems are highlighted in the following figure. Mobile LiDAR systems can provide on-demand data as well as capture building facades and tunnels that aren't available from airborne LiDAR, but airborne systems can cover larger portions of terrain and aren't limited to ground-navigable terrain. Mobile systems can provide survey/engineering quality data faster than static scanning. Airborne systems (with the exception of low-flying helicopters) generally don’t provide survey/engineering-quality data. Despite a higher initial cost than static scanning, mobile LiDAR scanning is generally less expensive than other scanning options because of reduced acquisition time. Mobile and airborne LiDAR are more productive than static scanning. Because of the integration of multiple sensors and the need to calibrate the sensors, mobile LiDAR scanning requires more training than static scanning. However, mobile LiDAR requires less training than airborne LiDAR because a pilot isn’t needed. Static scanning provides the highest level of detail. Airborne LiDAR offers better post-processing efficiency than static and mobile approaches. All scanning platforms provide safety benefits, but airborne LiDAR is safest because of limited traffic exposure. Several difficulties exist when performing mobile scans. For example, measurements are performed from a moving platform, requiring precise GPS/IMU readings for accurate data georeferencing. Also, it usually isn’t feasible to close down a section of highway for scanning, so neighboring vehicles can block data collection efforts. Additionally, a vehicle must be moving at a safe speed (with the flow of traffic) while simultaneously collecting data. In some cases, a rolling slow down can be used to avoid these problems. Moreover, the size and complexity of the laser scan data present significant challenges. Sensors collect data at high speeds (typically 100,000–1 million points per second) and at high point densities (typically >100 points per square meter) at close ranges (typically <100 meters). This creates large datasets that can be difficult to work with on standard computing platforms and software. The volume of data collected also requires a substantial amount of data storage and backup during a project. Following a project’s completion, care must be taken to ensure proper data archival. The large size also makes Web, DVD or other common media difficult to use for data transfer or sharing both within an agency and with external partners. Currently, many consultants subsample and filter the data to reduce size. They also process the data in small sections (tiles) because computing resources limit their ability to work with the entire dataset. Often, the final data typically transferred to the end user may only represent a fraction of the original data obtained. The actual point cloud may not be delivered. Many different methods have been employed to verify the accuracy of the final point cloud. Commonly, ground control points or an already georeferenced TLS point cloud are used to verify the accuracy of mobile LiDAR data. Unfortunately, many of the lessons learned, as well as user experiences, are being disseminated verbally at conferences or other events but haven’t have been adequately integrated into retrievable documents. Also, many service providers are reluctant to document and make project reports available because of liability concerns. Many lessons learned haven’t been formally documented with rigorous testing results. However, there are often “nuggets of wisdom” that can be found on various websites. In addition many agencies have provided recommendations, guidelines or standards for geospatial data. Some of these are broad specifications that pertain to all remotely sensed data while others pertain more directly to LiDAR data. However, most of these documents don’t directly or adequately address the needs of many transportation applications. 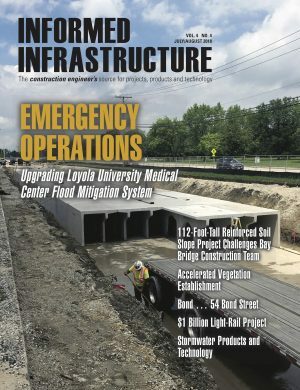 Given the limited amount of experience that has been documented to date, it’s important for future demonstration/pilot projects to be adequately documented and the results disseminated within a transportation agency and between agencies regarding the challenges, successes and lessons learned from projects incorporating mobile LIDAR—sometimes it may be the best tool for a job, sometimes not. Hence, it’s critical for users to understand when to and when not to use mobile LIDAR. Editor’s Note: This article is an adapted excerpt from Synthesis of Transportation Applications of Mobile LiDAR, which is available for free online at www.mdpi.com/2072-4292/5/9/4652. Mobile light detection and ranging (LiDAR) systems have been used along navigable corridors for a variety of applications, including infrastructure analysis and inventory, pavement analysis and urban modeling. The following sections focus on a few of the current and emerging transportation applications of mobile LIDAR. There are many examples of roadway analysis in which mobile LiDAR has been used to create a digital surface model or survey cross sections and highway interchanges. 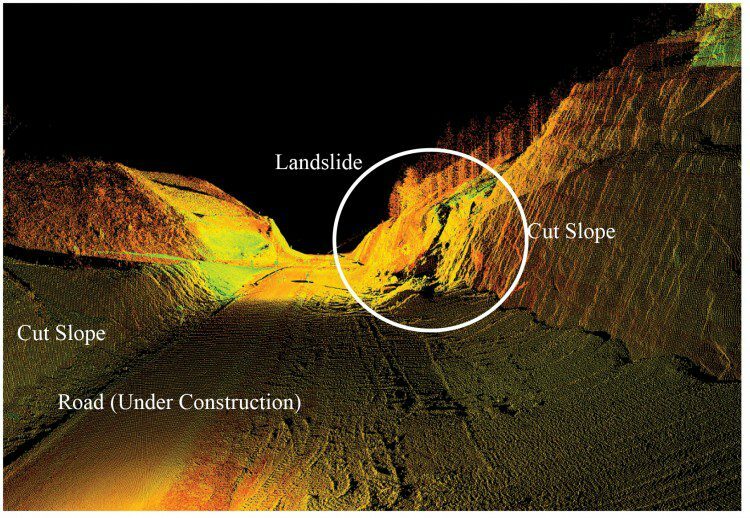 In addition, topographic mapping is an important mobile LiDAR application, including earthwork computations. Mobile LiDAR systems also provide a permanent record of site conditions that can be measured at any time after the initial collection of point data. This allows users to remotely measure length, volume, elevation, deflection, smoothness, camber, curvature and other parameters. Mobile LIDAR data often are converted to computer-aided design (CAD) models to serve as baseline information. Much work is still manual; however, automated algorithms are continually being implemented and refined. Also, there are many examples of how baseline data can be used for further construction development, from improving slope stability near roadways to monitoring pavement quality and calculating pavement volume. A LiDAR point cloud also allows designers to test various configurations in a virtual world that re-creates the real world in high accuracy. The University of Wisconsin–Madison used mobile LiDAR to create a virtual world of the roadways surrounding the campus for the university’s driving simulator, allowing users to intimately connect the simulated environment with the real world. bridges, traffic signs and even roadside high power lines. In many of these instances, the network (absolute) georeferencing accuracy of the point cloud is less important than the relative accuracy provided by the scanner. 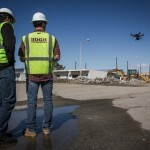 Also, in addition to providing high accuracy as-built records, a mobile LiDAR system can provide quality control on the construction process. The mobile LiDAR data can then be compared to the original CAD drawings to ensure construction was completed within tolerance. Mobile LiDAR can enable a rapid as-built, geospatial record of completed maintenance, reducing the need for future, repeat surveys. The data collected for roadways also can be used for several geometric analyses, including stopping sight distances, adequate curve layouts, slope, drainage properties, lane width and pavement wear. Several pavement resurfacing vendors have found the data to be effective to reduce change orders and over-run costs for resurfacing projects. acquisition of all of these data from a single, integrated point cloud represents a major paradigm shift for an industry that has historically acquired such data from a variety of sources. Potentially, scanner intensity information could be used to determine the reflectivity of painted stripes, signs and more. However, actual implementation requires continued research and development to appropriately normalize intensity values. Scanner intensity information also can be used to highlight damaged sections of concrete or asphalt pavement, which reflects light differently. Mobile LiDAR systems have increased safety benefits over traditional survey techniques and static terrestrial laser scanning (TLS) systems because nearly all work is performed from within a vehicle. Also, many elements of state Highway Performance Management System reports can be acquired efficiently through a mobile LIDAR system, particularly when additional sensors are mounted to a vehicle. TLS systems also have been used to document accident scenes, permitting the accidents to be moved off the roadway sooner and allowing investigators to continue the investigation after all physical evidence has been removed from the scene. Mobile LiDAR systems also have begun to play an important role in documenting pre-accident conditions.